This webinar will touch on the history of WordPress and some of the not so common ways that WordPress is currently being used. We'll also look more closely at some of the alternative options that are available, besides WordPress. It should go without saying that WordPress is the powerhouse that is out there. WordPress has gone through years of iteration and changes. We'll begin the webinar with a quick explanation of WordPress' original intent and its progression through time its conception. Then, and so as to not have a 2-minute webinar with a simple yes or no answer, we will be framing the "do you really need WordPress" question that is out there. The webinar continues with an introduction, discussion, and potential use case scenarios for things other than WordPress. This question is always an interesting one for those of you who do know me because pretty much everything I do revolves around WordPress, or at least most people think it does. So, when I ask the question, “do you really need WordPress?”– I think we need to take just a moment to kind of frame this question that is out there. Yes, WordPress is out there. WordPress has been pretty much the powerhouse that exists online. It has gone come through many years of iteration changes. And I wanted to take just literally two minutes to walk back in the history of WordPress. This is especially helpful for those of you who may have been newer to WordPress or maybe you haven’t done a lot of development work or building of individual sites over the years. WordPress really, at the core, came about as a blogging software. Simply put, single entry content that would be displayed in a hierarchy and based on the date published. That was where WordPress came from – and at that time, in the beginning, there was no such thing as pages. There was no such thing as menus. We didn’t have the tons of the things that are part of WordPress today. Over the years, WordPress started expanding its capacity. It then grew to the point where users, roles, and permissions – to determine who could see what and who couldn’t see something. WordPress added the ability to create different types of content and have different fields that were associated with that content. A place to upload media whether it was images or videos and interaction with a media-rich environment was added. Then themes became a place that could construct the output, or the display, at a very high level while still giving users access to change things, modify things. Users could make it their own. So, in one sense, WordPress has come from a simple blog content storage facility to a tool that you can make into anything you want. So, when I say you can make anything you want, it’s important to understand that WordPress is the Internet powerhouse. It is used still for blogs. It’s used to create social networks. It has that ability for different user accounts to connect up and Follow, Post, Interact, and all that stuff. WordPress can connect event productions. It has the ability to sell tickets to events, follow up, and in the backend, check to see whether a ticket is valid when somebody is at the door and can scan tickets! WordPress can handle all of that. Nonprofit sites, educational institutions… You can use WordPress for government sites, businesses, and data management, e-commerce solutions, portfolios, directories, and intranets. I wanted to focus on two or three items because it’s areas that people don’t think that people would turn to WordPress to use. So, when we talk about if you should even use WordPress, many people don’t know that the US State Department now uses WordPress to power all the internal sites for every single embassy. So, what that means is… let’s say you are in India and you need to go visit or you need to go to the U.S. Embassy. And say, I need to talk to some high-level individuals who are responsible for the textile trade with the United States. Well, most embassies would probably have a database of people in that country who have had interaction with the United States for textile trade. Well, all that is now stored in WordPress. So, they have these complex custom post types now created that are interacting with the U.S. through embassies. So an Embassy worker can type up all this information about a certain textile producer that is in India that works with these companies and they can be associated, affiliated, and linked to different items. And so now, let’s say, a new staff comes into the embassy. They need to look at the Rolodex of people that work with textiles in India and all of that stuff is in an easy to view, search, index, and reposition in terms of how to display the data – and it’s all powered by WordPress. We may think, “oh, well, we need custom solutions for this government site.” Where they’d find it’s all there in WordPress. We just have to do the work to make it our own. At the same time, you have people who are building phone apps for Android and Apple iOS who build the front-end. Then, it sits on your phone and it queries a database that lives on a server. But that database is WordPress. So, if it’s a news website or a news app that is sitting on your Android or Apple iOS phone, you may be looking at the newsfeed but that app is actually fetching the news that has been typed into or inserted into the WordPress database. And so now, they can manage large chunks of data that is now fed out into locations. So, these are two examples of non-traditional uses of WordPress and this also explains why WordPress is kind of the power to the Internet. But Do you NEED WordPress? So, let’s talk briefly about what WordPress provides. Well, anybody who’s worked with WordPress for a while knows the age-old joke. When somebody asks you, “can you do this with WordPress?” the response that you are never wrong with is, “there’s a plug-in for that.” Because even if you don’t know if there’s a plug-in, there probably is a plug-in that does exactly what you think it will. I mean, there’s a plug-in that will blow a foghorn. Simply because somebody asked, “I wonder if we can put a foghorn into WordPress.” Sure. There’s a plug-in that’ll do it. Themes that do all the work for you and themes that sit behind and allow you to design anything you want while still powering what you need. It’s easily extendable with knowledge. So, you can extend the permissions, you can extend the users, you can extend what you can do with content types. Custom post types – you can extend how you feed out data. There are thousands and thousands of developers who are hammering on WordPress. And when security vulnerabilities show up, they’re patched, or they’re found, or they’re identified with what needs to happen and what needs to be processed. That would be other applications that connect into WordPress. Maybe it’s this REST API you may have heard of where outside tools can pull data from the WordPress database. All of these things are things that WordPress provides. Notice how we’re not talking about SEO. We’re not talking about how to do image management or design. These items right here basically allow WordPress to build any type of site. So, why even have this talk if I’ve just told you WordPress can build anything? This may not be a surprise to some, but WordPress is ruled by a select group of individuals. Even though it’s one of the largest open source contribution systems. So, out of all operating systems and languages, WordPress has one of the largest open source communities. And it is known, at the end of the day, that the final decisions lie with just a select few. So, should we use WordPress? Just because you can, doesn’t mean you should. I’ve told you, you can make any type of website, any type of online tool with WordPress. That doesn’t mean you should. Sometimes the simplest solution is the right solution. And we’re gonna talk about how sometimes when you’re looking at a system, there may be a better right solution (other than WordPress). We’re going to talk about a few of these options. We’ll talk about a few of the positives and the negatives – or pros and cons for all of them. So, the first one I wanted to talk about – and I put this out there because it is probably the fastest growing area, and that’s the managed or hosted solution. Now, when I refer to managed or hosted solutions, these are things like Wix, Squarespace, Weebly (not so much anymore), Shopify… and there’re new ones popping up all the time. You see them advertising into business journal’s, or entrepreneurship magazines, or there’s a lot of affiliate people who push these items. And it’s very simple to get started. Basically, you can answer a few questions, upload one or two images, choose a style, and do a few tweaks here and there, and your site is live. It’s pushed out there. But when we’re dealing with this, we have to realize that at the end of the day, Wix, Squarespace, Weebly, Shopify – their end goal is not for the sites that exist there to succeed. Their job is that their company continues to succeed by getting more and more people using their tools. If we think back, the best concept with where this kind of hosted solution was, it was with most businesses when they were first starting out and the internet was just coming around. You had the old Yellow Books. The phone books calling businesses and upping their “advertisement contract” with the phone book to include a little website that the telephone company would create. Very simple. Very basic. Well, Yahoo realized, “here is an untapped market where we can push people beyond just the Yellow Pages, building you a website.” And that’s where the Yahoo business sites came from. And it was the push where now people were really realizing, “Okay. I can have a little more control. I can edit things, I can add some items to my site if I pay $35 or more a month. I can now be online in a more controlled environment.” Well, then fast forward to today. This is where we are. These are the people who have proprietary methods of allowing you to create, and controlling you “inside a walled garden”. This means you can’t really transfer your site to another location. You’re stuck with them. You may not always have the best SEO because, at the end of the day, the search engine optimization for most of these companies – the Wix, Squarespace, Weebly… is to get their company promoted. And so, a lot of times, in the SEO, you will see “powered by Squarespace” showing up in SEO titles and descriptions. And a lot of times it’s because people haven’t paid extra money in order to unlock the SEO world. But this is possible. This could be something because you know it’s not gonna be a long-term relationship with the client. It might be something that… maybe you have a friend. They’re not going to pay you on a monthly basis or pay you to actually build a real quality website for them. But maybe it’s one of those ones where you can help set them up and then they can go. Where you do not have to be the customer support line for your friend. So, using something like this does have benefit in those type of worlds. Now, the other is “Other Content Management Systems” where you are building from scratch on top of a platform. Those are things like Drupal, Joomla, CMSMS (Content Management System Made Simple). CMSMS basically took a whole bunch of old content management systems, took the best of all of them, and put them together. But it still has that old PHP Nuke feel to it – any of you remember, PHP Nuke and some of the original PHP and frameworks? Now, where would some of these type of Content management systems come in as opposed to WordPress? If you have a client that needs absolute control. Fine-grained control over different fields, different elements of the content. If you need to construct something at a very fine-grain system, Drupal may be exactly what you were looking for. In fact, the prior administration’s White House website was Drupal for many years. Drupal was a prime Government system. But over time, people realized that there weren’t enough developers of Drupal. And the Drupal development, the process of iteration of versions was causing problems because people who would build plug-ins for Drupal wouldn’t keep the plugins up to date. And so basically, Drupal version 5, Drupal version 7, Drupal version 8, are not compatible with one another. So, every single time a new major version of Drupal would come out, it required an entire rebuild of the entire website. Or you had to maintain your own security keeping an old out-of-date version. Joomla and CMSMS are just other options. But they are nowhere near as flexible or powerful as both Drupal and WordPress. So, there are other content management systems. Well, what about just regular HTML websites? This is still a viable method of building a website for a client. Now, this method will also be one of the fastest websites, which is great. But that means it is your responsibility to update it, is your responsibility to manage, it is your responsibility to handle things like making sure you have the proper SEO. And this is not SEO that you can fill out a form. You have to put the SEO in the header section of each page and manage that and process that. So sure, this is still a viable solution. And you’re going to have clients that, you know what? Maybe they don’t need anything updated, maybe they don’t need a blog, or they’re not gonna sell a product. They just need an informational page that’s not gonna change. Maybe it’s a book author that simply has a book that they need to sell and may need a landing page that they’re going to direct people to. And if they have an update or something, they will just contact you to make the update, and boom, perfect! It can be very simple. It’s low stress on the server and as long as you know what you’re doing and nobody else has access to the FTP, it’s a very easy site to work. Now, when we take a regular traditional hardcoded system, we also have the idea of a combination of a Hybrid of Static and Dynamic. What this means is there are regular HTML or PHP pages. And so, it would be just like what you’d expect with HTML and PHP, but buried in the HTML or the PHP pages are tags. Tags that start and stop. And then the tool, the hybrid part has an editor system in the backend or a separate area that identifies those tags and makes those sections editable. 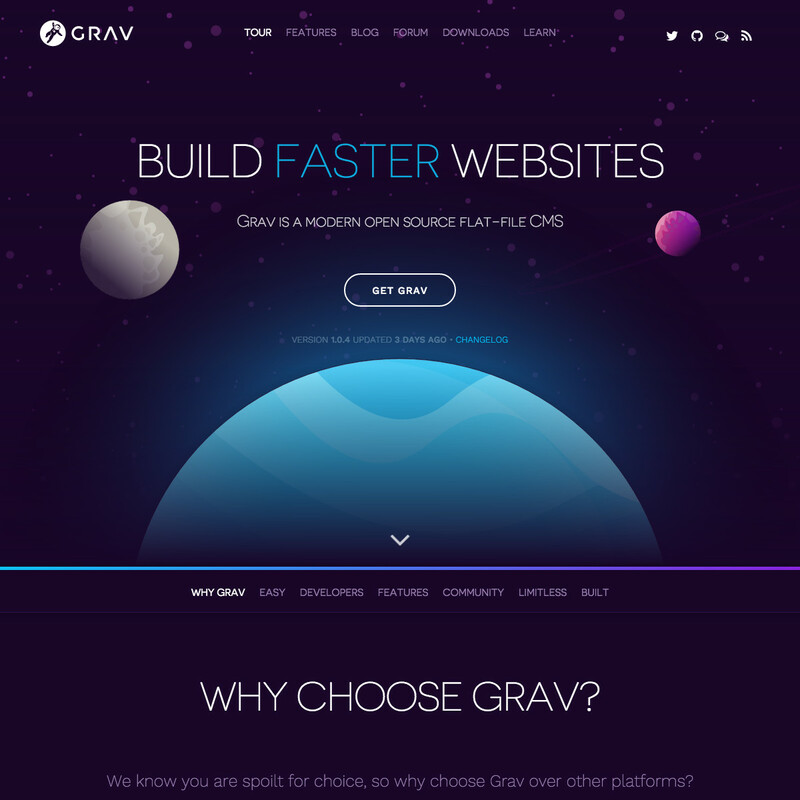 Something like Pulse CMS or Grav. Lots of people call these options flat file because they don’t need a database. 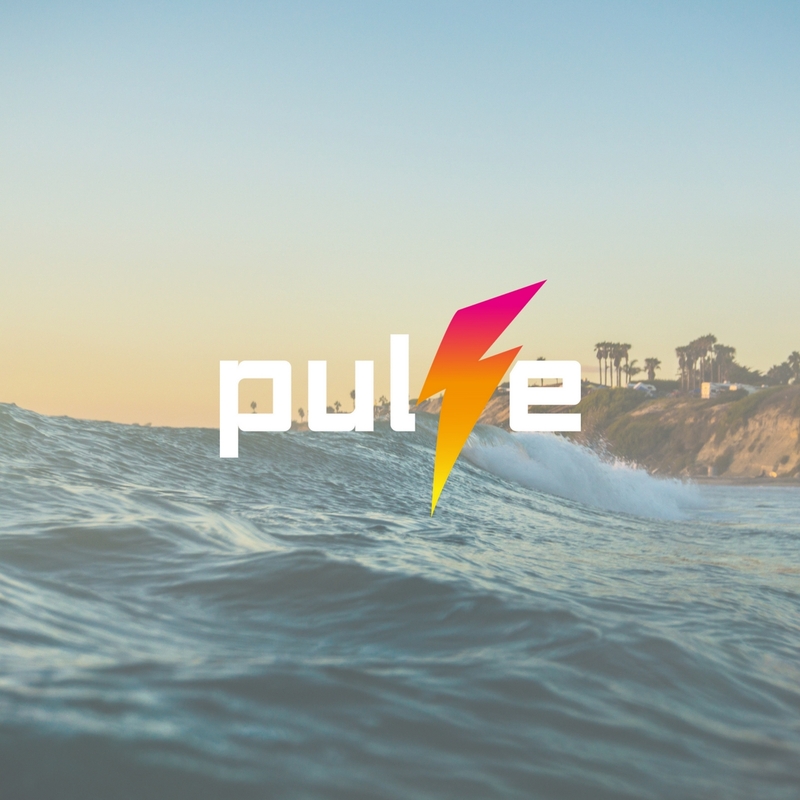 I’m curious how many of you have heard of Pulse CMS before? The reason why I’m bringing that up is that this is one of these unique systems that has been around for a long time. And yes, it does cost some money. But it allows you to try things out for free. You can pay and become a developer and you can build as many sites as you want. So, one of the things Pulse CMS does when you’re building a website you’re gonna see that there’s a dashboard, and there’s an overview. But there are things called blocks. So, on the HTML site, you have wrapped a block. There’s like an opening tag and a closing tag in HTML and it shows up in the editor. You can then edit directly in this location in a backend. And when somebody goes to visit these static HTML websites they’re going to see the changes that are put here. It’s this hybrid where nobody can really mess with the theme or the design but they’ll be able to edit things. Where would this fit into the shape of everything that we’re talking about? A hybrid system is for one of those sites that a client only needs one or two things to change and they want to do it. But the rest of the site is gonna be pretty much static and you want the site to be as fast as possible. This is basically a simple solution without the database required and it still gives control over editing aspects of the site. Now, you could also go the route of writing your own. NO! This is another example of just because you can, does NOT mean you should. Gone are the days where we, or anybody, should ever consider writing your own content management system. Back in the 80’s or 90’s or something, that was the big thing. Everybody wanted to write their own. Roll their own content management systems. There are too many other solutions out there. Plus security is so important on the Internet nowadays. It’s not worth it to go down this route. And then we have this… Building it in someone else’s walled garden. This is where we have a major push from a number of different social networks. Where they want you to build your entire entity or your web presence in somebody else’s walled garden – a social network. They want you to create a Facebook page. They want you to create and build out your Twitter profile, your Instagram profile so that you can do things and interact with your customers. Build everything around your YouTube channel so when you want to do an update, you update on YouTube. When you want to actually get feedback, you do that on YouTube. When you want to write a post, you can now post on YouTube. And anybody who’s following you is going to get the information. But we’ve got these social networks – the Facebook pages, the Google Sites, trying to control what you build. And sure, it makes it easy, it’s integrated with social networks. Everybody is on them already. It’s ways that you can actually get interaction going faster. But at the end of the day, this is the like the same thing as the hosted options where you do not control your data, or your traffic, or anything else! And if for some reason you offend someone in the inner circle, there’s a very good chance your site will disappear or go, bye-bye. So, if you were to build your site or your client site on somebody else’s platform, it literally could happen that you wake up the next day, and what you could do yesterday, you can’t do today. And it completely changes. Or you can even build your whole platform on top of a social network like app dot net and then have app dot net just disappear because the founders couldn’t make it work. And so now it’s gone and no longer exists. Maybe you built some code or systems on top of it. When we look at all the different items, where are we going? How can we control the future? We come back to WordPress! WordPress is that open source that has the largest community working around it. Sure, there are other options that may work for specific situations. But, I want to put it this way. When you ask the question, “do you really need WordPress?” – if you can answer, that you need this other solution because of “XYZ”, then you have a valid reason to use something other than WordPress. Great! Use that! But if you do not have a valid reason to use another tool, I’m gonna then say, “why aren’t you using WordPress?” Because if you don’t have a valid reason to use something else, you’re missing out on all that WordPress can provide. I think that’s when asked, “do you really need WordPress?”… Sure. Yes. There are other options, but ask yourself, “Can I do what I want to do with this other thing, this other tool?” And if not, don’t even use it because WordPress can. And I’ll put it this way, you can shoehorn WordPress into anything. You can’t really shoehorn any of the other options into anything. I like to think of WordPress as a liquid. So, you can pour WordPress into any glass and you’re fine. Most of the other things are gelatinous solids. Things where yes, you could pour a bunch of marbles into a vase that has a weird shape and it might make its way through most of the parts of the thing. But because WordPress is liquid, it can be formed so that it fits perfectly inside that special vase. How long pulse has been around? Pulse has been around for almost ten or fifteen years. It started as a university project out of, I think, the Netherlands and then it has grown. And has been bought two or three times and it just keeps getting better. But it’s one of those ones, no database needed but it has the most robust back-end dashboard for a non-database website. Do the folks who use Squarespace, Wix, etc. own their own content? You personally would own your content but you can’t get it out easily. Yes, there’s an export but it simply would export like a raw feed of the content. Like an RSS feed. Not something that you could really then import into something else unless you actually have built an importer. Most of the people that I talked to who are building or transferring people’s sites from Squarespace, Wix, they literally are transferring it by doing a one-to-one design copy/paste. It’s not something that I can simply just say, “give me all the data, give me all the followers now. That’s the other thing you can’t really get an output of everybody who has followed unless they’ve actually created accounts on your Squarespace account. But then there are also different levels of Squarespace or Wix – whether you actually allow users. I do believe it is in the Terms of Service for most of these hosted ones that they can use your content without permission in their advertising. When would you create a website on Squarespace or Wix or anything like that? What do you recommend or how do you recommend people handle losing a client to square Squarespace, Wix, etc? Does Wix do a nice job with shopping carts? You know, that is one place that I have noticed WordPress has come up short for quite some time although now, I think they are starting to Close the gap a little bit. Maybe. Yes, still a little bit complex and a little bit more difficult than some of the other things out there. Comments on the shopping carts. 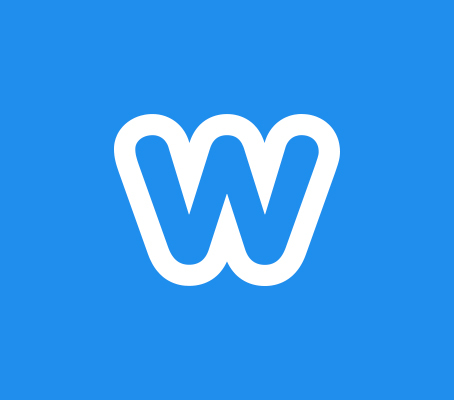 Yeah, Wix does a good thing with shopping carts, so does Shopify. I mean, Shopify was built around building websites that sell a product. When an entity controls everything and hosts a solution, they can make it work and they don’t have any server problems because there’s only one type of server that the site goes on. That’s that’s a benefit of Wix, Squarespace. Everything’s all working perfectly for the server because you’re not having any variations of servers. That’s more of a technical side but that’s part of the reason why Shopping carts or some advanced functionality and Squarespace’s and Wix works well. At the same time, on some servers, WordPress does awesome. It flies. It does exactly what it needs because that server has been finely tuned to how WordPress operates. But most people don’t have that type of a server? Can you address the problems that Woo has with PCI and using Amazon for PCI compliance? Again, I think that also comes back to how the servers set up. When Shopify handles every one of their shopping carts exactly the same way and they can control all of the permissions and security in the privacy and all the things that are required, they set it up, they do it and it’s done. It’s always going to pass and if there’s a problem with it, they will fix it and therefore it’s then fixed for everybody. But remember, PCI compliance – a lot of it is the server, and permissions, and settings and all these other things. Is WordPress a primary target for malware attacks in comparison to the others? Yeah, I actually look at that as the positive. As long as you keep everything up to date (and all the tools that you’re using with WordPress have developers who are making sure that their plugins, their themes, and their WordPress versions are up-to-date and satisfies any known issues that are always being announced to security tools), I would much rather have WordPress. WordPress is attacked all the time but it also always has people looking for to how to fix those vulnerabilities. The lesser-known server or lesser known system may have a lot fewer people using it and therefore may not be a major attack vector, but once an attack vector is found it may not be discovered by the developers around that project because there aren’t as many developers looking at the security of that project. And so, vulnerabilities can last for longer periods than for WordPress. Benjamin Bradley trains and assists small business owners to take their skills to the next level. You might recognize Benjamin as "BB" or "The Professor" from the thousands of hours of business and technical training materials he has produced over the last 20 years. In 2017, Benjamin founded WPStudio, his membership community where he provides access to his custom WordPress theme (and child themes), unique and useful WordPress plugins, hours of webinar replays, an ongoing of scheduled of webinars, and an invitation to a very helpful and humorous Slack channel.